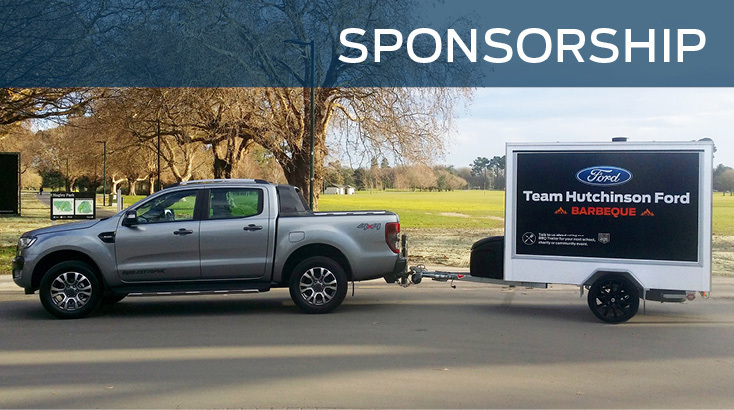 Team Hutchinson Ford is proud to be a major partner of The Court Theatre in Christchurch. New Zealand’s largest theatre company. Having a School or community event and need a BBQ trailer ? Call us about booking ours, no charge except for a refundable bond, we even supply the gas. Tell us how we can sponsor your school, charity or community. We have a proud history of supporting the Christchurch community in many different ways and always on the look out for more opportunities. Tell us about your school, charity or community event and how we can help.